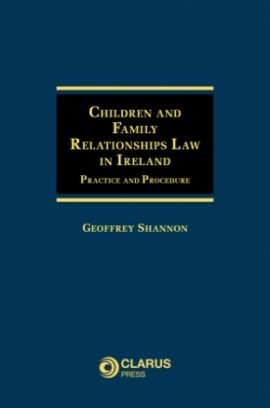 Buy Child Law in Ireland (€49) + Family Breakdown: A Legal Guide (€49) and GET The Modern Family: Relationships and the Law (€35) for FREE! Child Law in Ireland provides an accessible analysis of the Irish child law system by Dr Lydia Bracken. Click here for more details. 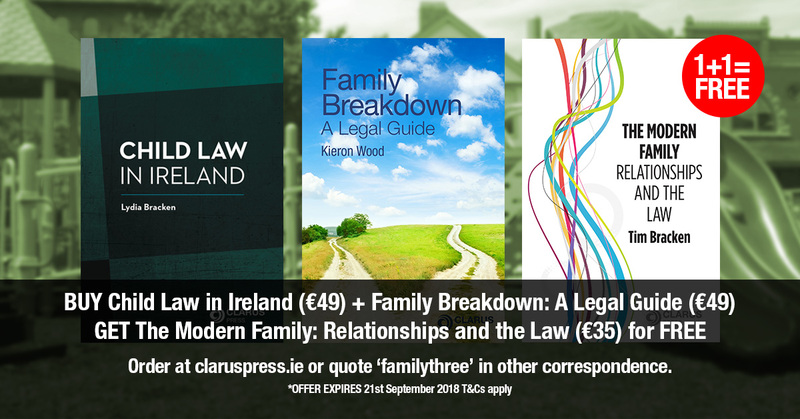 Family Breakdown: A Legal Guide is a practical guide to the legal issues surrounding family law and relationship breakdown in Ireland by Kieron Wood. Click here for more details. The Modern Family: Relationships and the Law. A legal guide to the modern Irish family by Tim Bracken. Click here for more details.